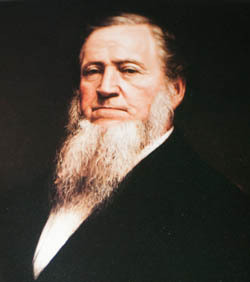 Brigham Young was the first Latter-Day-Saint territorial governor in American History... as a past government leader, a statue of Brigham Young stands as a monument in the United States capitol building in Washington, D.C.
For over one hundred years the Salt Lake Temple has stood as a visual symbol and monument to its people and still figures prominently in the lives of the faithful of the Church of Jesus Christ of Latter-Day Saints. Its sacred nature and geographical location were central to the Mormon doctrine of gathering. The Church's removal to the Great Basin region was seen as fulfillment of Isaiah's prophecy that the Lord would be "established in the tops of the mountains." Embossed Temple using smoke tint foil. 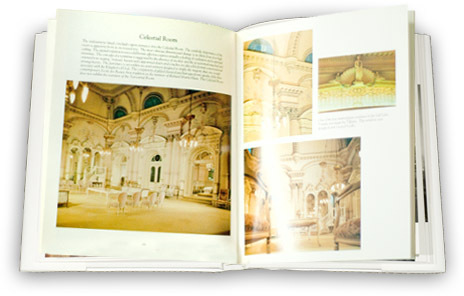 Contains 208 pages with over 200 color and archival photographs, detailing the history, planning and symbolism with full views of every room of the interior, all spot varnished for added luster and printed on acid-free paper for the preservation of the book and its contents. Reproductions from original glass plates taken by C.R. Savage, circa 1911. These photos, stored in the Church Archives for more than 80 years, were published in their entire sequence for the first time in this book, including rare pictures of the Holy of Holies. 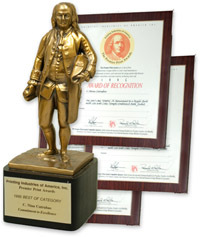 Best of Category winner of the Printing Inustries of America's "Benny" (Benjamin Franklin) Award -- bestowed upon those companies that exhibit excellence in printing and design. Selected from nearly 5,000 printed pieces by a panel of discriminating industry professionals. 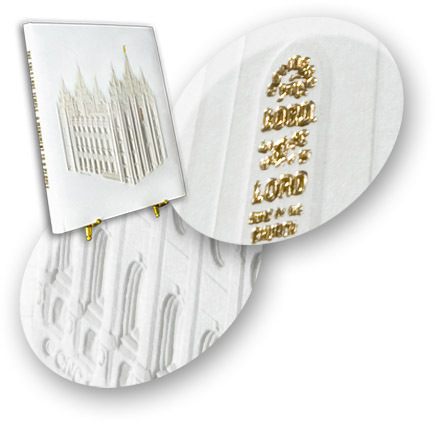 To A People is the first comprehensive and authoritative text about the Salt Lake Temple. Copyright © 1983 University Services Corporation. Copyright © 1983 CNC Publishing. Copyright © 1983 C. Nina Cutrubus Publishing. Copyright © 2009-2016 Temple Legacy LLC.